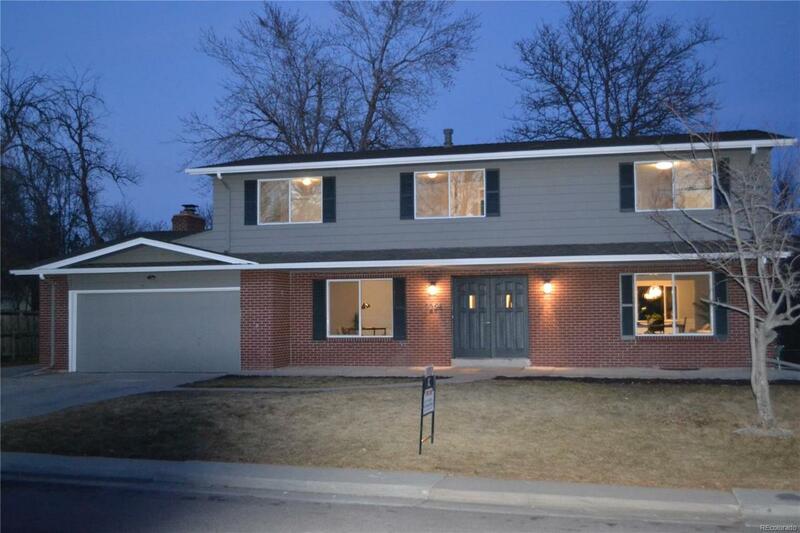 Fantastic Home in Columbine Knolls! Nearly 4000 Sq. Ft. of space. Gorgeous New Kitchen w/ Slab Granite, Soft close Cabs and SS Appliances. Three updated Baths Inc. Master Bath W/ Quartz Counters, Modern Soaking Tub & Marble Shower with Euro Doors. Large Master Bedroom with Walk In Closet. Nice Cozy Family Room w/ Stacked Stone Fireplace. Formal Dining & Eat-in Kitchen provide plenty of space for entertaining. Large Back Yard with Nice Patio. New Doors, New Carpet, New Solid Bamboo Hardwoods on Main, New Windows, New Furnace & AC, New Electrical throughout Including Panel, Newer Roof & Gutters, New paint inside and out. This is a Must See! !